The photographer retains all ownership of the photos, and the right to use the photos for self promotion as a Photographer via print, website and other marketing venues. All images are copyrighted to Shoot For Sold Photography. Images produced for our clients may be used in accordance with local MLS rules, exclusively for the marketing of the active listing property. 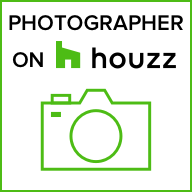 Any usage of the images beyond these purposes by the agent, homeowner or third party is strictly prohibited unless approved in writing by the photographer. The photographer will show up at the scheduled time ready to photograph the property. All properties will be shot AS IS. If the property is not cleaned or staged the photographer will create the most aesthetically pleasing photographs given the condition of the space. Following the pre-arrival checklist provided is vital in making the most of the photo session. Photo finishing includes the combination of several different techniques so that a room is captured in it’s best light. Photo finishing is a big component and behind the scenes process of creating the high-quality images. It is a matter of professional ethics that we cannot and will not PhotoShop a crack in a wall or make any other structurally related alteration to the images. Images will be delivered electronically JPEG format, MLS compliant, Dropbox link attached to email within 24 hours of end of photo session unless otherwise specified. Products other than photos have a longer delivery period. Payment is due within 7 days upon receipt of invoice. Cash, check or credit accepted. If cancellation or rescheduling is necessary, we respectfully ask for 24 hours notice. Scheduled sessions not cancelled within 24 hours will be charged at 50% of scheduled services. Rescheduling or canceling due to events such as inclement weather or other unforeseen circumstances will be rescheduled without charge.